Strategy Enables Business Process Outsourcing for Global Organizations While Providing Enhanced Solution for U.S. Organizations Increasing Language Diversity Needs. PLANO, TX – April 26, 2018 – Akorbi today announced expansion of its multilingual call center locations into Dakar, Senegal, as part of the company’s geographic strategy to increase its presence in key growth markets. Senegal has steadily expanded its business presence and economic growth potential, attracting large corporations. This, along with a long-standing, stable political environment and new investment infrastructures, including new research centers, hotels, and a special economic zone, factored into Akorbi’s decision to select this country for its latest expansion. 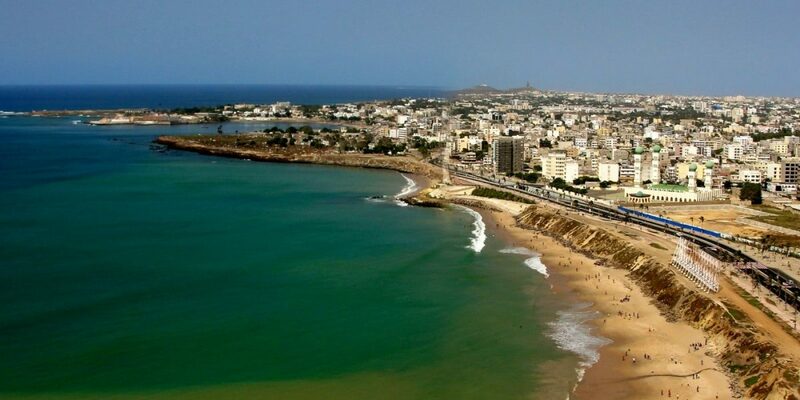 Dakar, Senegal will become one of more than 24 strategic locations across 17 growth market countries as Akorbi significantly increases its global footprint. Akorbi’s selection of Senegal, West Africa was the result of careful evaluation. Akorbi’s CEO and Co-Founder, Claudia Mirza, traveled extensively from West to East Africa to better understand the opportunities and challenges of the region. “One of our core competencies in the multilingual call center and BPO space is supporting a high-volume of rare languages through a professionally managed contact center. We are known in the industry for deploying custom multilingual contact center programs to support any language, in any region. Some of our most successful programs include support for rare language including Portuguese Creole, Haitian Creole, Wolof, Pular and Native American Languages, among others” said Mirza. Competing in today’s global economy, organizations are seeking to maintain visibility worldwide and communicate effectively with customers real-time in any language. Every aspect of an organization must maintain consistency across cultures through communication, messaging and cultural relevancy. Materials, and digital content, websites and marketing all must be “localized”. Akorbi offers a full array of language solutions consisting of video, telephone, face-to-face interpreting, translation, localization of content and websites. Through its contact centers, Akorbi also offer comprehensive support for, customer service, email, chat, help-desk, back-office support and training for bilingual staff. All of this, provides global organizations with high-quality language capabilities to better serve their multilingual customers and expand their global market reach. The Dakar, Senegal location is staffed with professional interpreters who understand cultural norms and behavior, a fully redundant data and communications infrastructure and integrated security system, with fail-safe backup systems combining the best of technology, people, language access and industry expertise. “Global organizations can focus on their core competencies and business growth objectives while Akorbi services all their multilingual and cultural needs” said Akorbi’s BPO President, Ralph Bonaduce. “We enable companies around the globe to promote their business and serve their customers in any language, while keeping costs low and delivering an outstanding customer experience and meeting their R.O.I. objectives” added Bonaduce. Akorbi is a U.S.-based company that provides enterprise solutions that empower companies to achieve success in the global economy. We help companies connect with employees, vendors and customers in over 170 languages 24×7, in any modality, from any location. Our customizable, enterprise solutions include: technical and multilingual staffing, learning services, multilingual contact centers, video remote solutions, translation/localization and in-person interpreting services. The company holds several certifications including ISO 9001:2008, ISO 13485:2003, EN 15038:2006 and M/WBE Certification. Akorbi was recently named the 12th largest language service provider (LSP) in the US by global market research and international consulting company, Nimdzi Insights LLC. For more information, visit www.akorbi.com or call 1.877.4.AKORBI.